To apply for or to renew an existing membership please fill out the PDF below. Members can now pay their fees online via PayPal using major credit cards or bank account. The CAAP Foundation is able to help out students thanks to the support of generous individual donors. We welcome all imagelevels of donation. All online giving is done through. 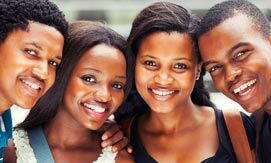 As the Council of African American Parents (CAAP) Celebrates its 25th Anniversary, our organization continues to annually produce a record number of academically prepared, highly competitive students who go directly from high school to top colleges and universities throughout the country and abroad. Our success rates hover at the 99th percentile. In August 2012, two more CAAP students will head to West Point Military Academy in addition to our nearly 40 other seniors who will be heading to universities like UCLA, UC Irvine, UC Riverside, Stanford, Harvard, Yale, NYU, Howard University, USC, Spelman, Morehouse, CSU Fullerton, Cal Poly Pomona and Loyola Marymount University to name a few. The CAAP Class of 2012 was stellar. Our ground-breaking, parent-driven Community Based Organization (CBO) has been identified by UC Berkeley as a National Model organization that consistently demonstrates the overwhelming advantages of parent involvement in the academic success of their college-bound students. Over 2000 students have been through CAAP’s Personal Academic Learning System (PALS) program that serves 4th through 12th grade students. PALS and the intense CAAP Juniors & Senior’s 16 Week Workshop are the organization’s signature academic tools. PALS is a research supported, learning paradigm combining Cultural Enrichment, Academic Excellence and Social Development as a necessary foundation for the overall academic success of students from disadvantaged backgrounds. Our college preparatory curriculum trains students in academic competitiveness, time management, test taking strategies and study skills, as well as builds selfesteem, confidence and cultural awareness, over and over and over again. The Jr’s and Sr’s 16 Week Workshop takes 12th graders through the grueling college application processwith our 11th graders shadowing. This program is so effective that there is always a waiting list. College and university representatives from all over the United States come to present to and court our scholars. Expanding our PALS program to include 4th graders is an example of CAAP’s aggressive approach of early exposure and preparation as a catalyst in increasing students’ potential to seek higher education. Our highly experienced leadership remains at the forefront of cutting-edge college research through the organization’s partnerships with world-class institutions of higher learning like the UC Office of the President and the California State University System, as well as private universities like USC, Stanford, Loyola Marymount University, Princeton and Harvard, and historical Black colleges such as Howard, Hampton and Morehouse College. CAAP is socially aware of trends that profoundly affect the college going rates of underrepresented cultural groups and in recent years launched its Legacy Roundtable Collaborative (LRC), to address the growing concern of the low percentages of African American males seeking higher education as a result of poor academic performance in grade school. LRC is a revolutionary summer program for African American males that uses mathematics at the epicenter of its Summer Accelerated Mathematics Program that takes place on the campuses of several Community College partners such as Mt. SAC, Riverside Community College RCC and Chaffey College to name a few. Again, as supported by research, we know that mastering complex subject math serves as a gateway to multi-subject academic success. Our Summer Accelerated Mathematics Program culminates with a life-changing, one-week residential stay in the dormitories at UC Riverside and UC Irvine for our male students. The programs’ outcomes are measurable and unprecedented. CAAP continues to provide college tours and empowerment workshops to further expose our students to the importance of preparation and commitment to excellence. Further, our cultivation and development of collaborative efforts and partnerships with local school districts, school sites, other community based organizations and various institutions of higher learning continues to give CAAP direct access to information and research that helps us to maximize opportunities for our students, and design customized programming that strongly leans toward incredibly successful outcomes. Educational achievement of our students continues to remain at the cornerstone of our organization. CAAP instills the scripture: -To whom much is given much is required,- in our students who have personally benefited by the programs offered by our organization. Our scholarship program continues to need the support of your participation in our fundraising efforts and donor programs. We encourage you to establish scholarships in honor of your loved ones, yourselves, your alma mater and your businesses. Consider giving to CAAP monthly and supporting our capital fundraising programs, one of them to help CAAP secure its first office ever. This year we are -calling out- to our PALS Alumni, asking them to begin giving to CAAP through our New -PALS Alumni Reach Back- program by starting with just $10.00 a month. With 2000 students over our 20yr history, this could help CAAP reach a milestone by enabling the organization to start funding four-year scholarships for selected graduating seniors, in addition to the thousands of dollars we award each June to students head off to college. All of your donations can be processed through our Pay Pal on the CAAP website: www.councilofafricanamericanparents.org, as well as paid directly to the organization. Your generosity will help CAAP continue to provide much needed programs for our deserving students as we prepare them to take on the world. We encourage grant-makers to make CAAP part of your grant-planning as we continue to expand our academic outreach, our college prep programs and continue to impact the course of history. We have a number of events and committees in which you can become involved and we want to emphasize that the quality and longevity of our organizational programs can only continue with your help. Chino Hills, Diamond Bar, Pomona, Walnut, and surrounding communities. 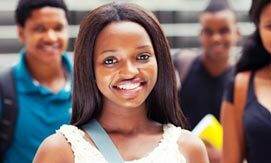 The Council of African American Parents' Scholarship Award Program is now accepting applications for the school year. To find out more about the scholarship program including award criteria click the link below. © Copyright 2016, CAAP. Allrights reserved.